Cigar Advisor Magazine is a digital publication dedicated to providing cigar enthusiasts with entertaining and informative content. They have just updated their instructional Cigars 101 series with a piece called "Tubo or Not Tubo?" which details the different types of tubes used to store cigars and how smokers should use them after purchase. Cigars en tubo, as the Spanish say it, tend to cost a little more, but they have their advantages. Like cellos, cigar tubes are used primarily for protecting cigars from the elements, but they also make your cigars easier to carry. The all-new Cigar Advisor Magazine is an online cigar magazine that brings a fresh, irreverent, and down-to-earth perspective on all things cigars to thousands of smokers. In addition to educational cigar content and behind-the-scenes cigar industry articles from some of the business’s top names, Cigar Advisor delivers an array of content about a variety of topics of interest to people who enjoy the cigar lifestyle. The magazine also features cigar reviews and ratings submitted by real smokers, and much more. 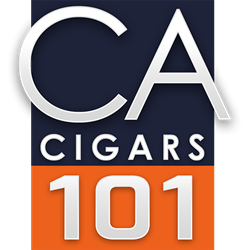 Cigar Advisor Magazine has posted a new article in its Cigars 101 section. Entitled, "Tubo or Not Tubo?" CigarAdvisor.com Executive Editor, Gary Korb, describes the difference between glass and metal tubos. Storage options for tubo cigars are also addressed. "Cigars en tubo, as the Spanish say it, tend to cost a little more, but they have their advantages," writes Korb. "Like cellos, cigar tubes are used primarily for protecting cigars from the elements, but they also make your cigars easier to carry." In addition to defining tubos, readers will also discover the advantages and disadvantages of glass and metal tubos. For example, glass tubos tend to have a better seal than metal tubos, which may allow them to stay fresh longer when out of the humidor. Glass is also more likely to break if dropped. "Some cigar smokers have the impression that a cigar will dry out if left in its tube," writes Korb. "It sounds reasonable, but think about it. There are thousands of cigar boxes with glass tubed cigars sitting in factories, warehouses, and cigar stores for months, even years at a time, and just like their celloed cousins, they remain in excellent health." The article also speaks to the question of whether or not cigars should be left in their tubes when placed in a humidor. Cigar smokers who don't usually purchase tubos should find this post enlightening.